WEST HAVEN -- Any momentum carrying over for the Warde girls lacrosse team from its win that propelled the Mustangs into the CIAC Class L semifinals five days earlier was wrested away by a determined Glastonbury team on Tuesday night at Ken Strong Stadium. Fifth-seeded Warde trailed by 7-1 at halftime. The Mustangs' bid to rally in the second half was delayed until the 15th minute of the second half as the cohesive Glastonbury defense had refused to relent. 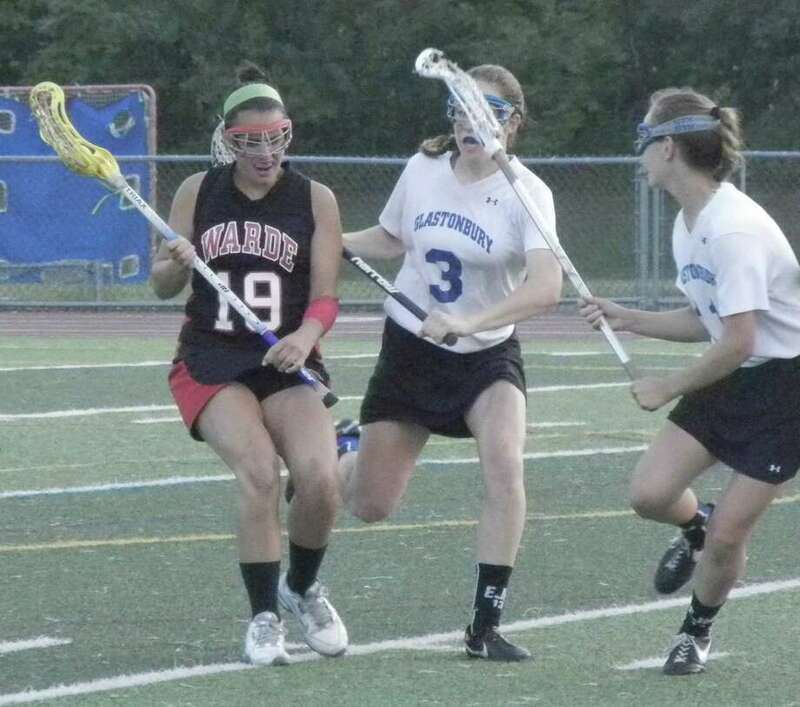 By the time Warde sophomore Amanda Orvis notched the second of her three goals, the Tomahawks (19-0-0) had clicked off another two scores for a 9-1 lead. The Mustangs' next goal came after Glastonbury had moved ahead by 13-2 with 6 minutes and 36 seconds remaining. Records: Warde 13-6-1, Glastonbury 19-0-0. Scoring: W--Amanda Orvis 3 goals, Caroline Ihlefeld (1g), Meredith Nerreau (1g), Courtney Scheetz (1a), Kelly Milicia (1a); G--Cami Santor (4g, 2a), Sara DiCenso (1g, 5a), Taylor Walker (5g), Lindsay Shettle (2g, 1a), Julia Ostrowski (1g), Madeline Norman (1a). Goalies: W--Rebekah Snitkoff (7 saves); G--Audrey Apanovitch (4). Shots: W--14; G--26.